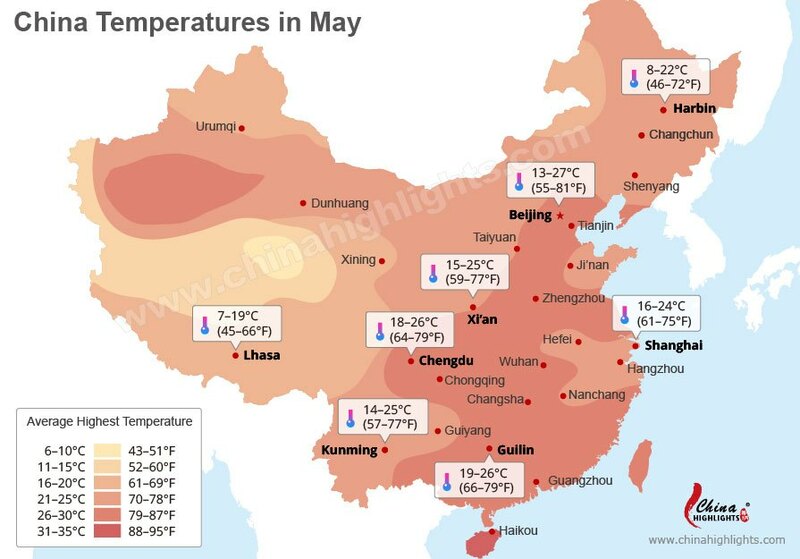 The weather in May is pleasant with a relatively plentiful amount of sunshine and warm temperatures throughout China. There is a stretch of warm, fairly dry weather before the summer heat and rains set in. May is one of the best times for traveling and sightseeing in China. Read on for more about China’s weather in May and our travel suggestions. Daytime clothing: Take cool, breathable clothes, such as T-shirts/shirts/blouses and skirts/light trousers. Evening clothing (and for cooler days): Take a warmer layer, such as a thin sweater or light jacket/waterproof. Tourism: May is one of the best times to travel in China as the natural scenery is green and fresh. The first three days of May can be crowded though. As the summer crowds haven’t arrived yet, May is one of the best times for traveling in China. This month also benefits from a moderate temperature and a moderate amount of rainfall. 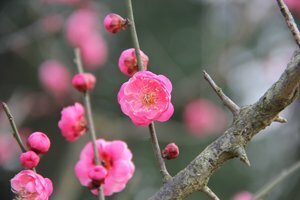 In southern China, it is early summer in May. The comfortable weather means this is a great time for you to travel in China and you don&apos;t need to take very much luggage. Read more about the Best Places to Visit in China in May. International Workers&apos; Day falls on May 1st and there is a short holiday for three days in China, which is usually combined with a weekend. Make your reservations as early as possible for this holiday, as hotels, transport, and sights can be sold out quickly. In North China, spring is at its best in May. The natural scenery is green and filled with flowers, and the weather is moderate. Although it is cool at night, the daytime temperature is comfortable enough to do outdoor activities. Take Beijing as an example — the average temperature range is 14–26°C (57–79°F) and there are eight rainy days (36 mm or 1½”). Blue sky may be seen in cities such as Beijing that rarely have blue sky during the rest of the year. 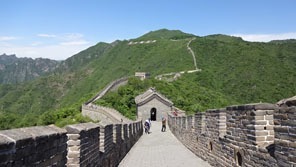 May is also one of the best times to visit the Great Wall. When the trees and plants turn green, the wall snakes its way through lush vegetation. The comfortable daytime temperatures makes a bicycle trip on the Ancient City Wall in Xi&apos;an a good experience. East China has more rain than the north. Expect high humidity, but pleasantly warm weather with moderate rainfall, before the beginning of the summer monsoon season in June. Take Shanghai as an example — the average temperature range is 16–23°C (61–73°F) and there are 17 rainy days (112 mm, 4½”). Before the monsoon season, you can still do many outdoor activities in May, such as visiting the Bund, without the risk of torrential rain. 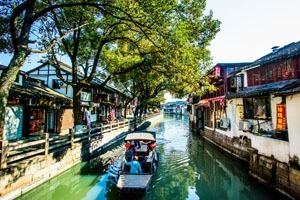 The water towns around Shanghai are also worth visiting to see the beautiful springtime scenery. Central China has warm and pleasant temperatures, and May is one of the better months to tour the region as there is relatively low rainfall. 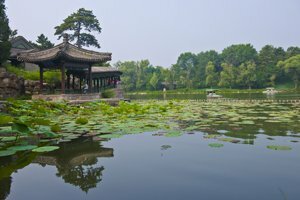 Take Chengdu as an example — the average temperature range is 18–26°C (64–79°F) and there are 15 rainy days (82 mm, 3”). Chengdu is often foggy and drizzly. Chengdu’s temperature in May is comfortable. It usually rains at night or early in the morning. 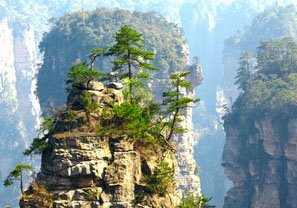 It&apos;s a great time to extend your Chengdu tour to see the Leshan Giant Buddha or visit the famous mountains around Chengdu. 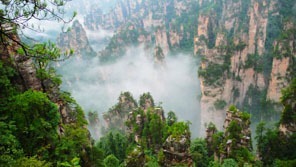 May is the start of the rainy season in Zhangjiajie, yielding the misty scenery of “floating mountains”. As the plants and trees have new green leaves and blooming flowers, the forest park is especially worth exploring. South China experiences its early summer in May. Cities in the southern region are quite hot during the daytime. 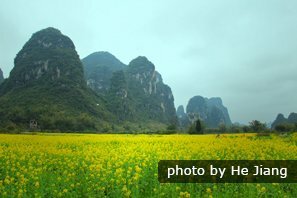 Take Guilin as an example — the average temperature range is 20–27°C (68–81°F) and there are 23 rainy days (341 mm, 14”). Some local people already wear T-shirts and shorts at this time of year. You will encounter rainy days in May, but it usually rains early in the morning and at night so your trip won&apos;t be affected too much. 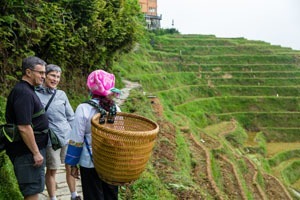 It&apos;s a great time to visit the Longji Rice Terraces in Guilin, when the terraced fields are irrigated but not yet obscured by growing rice. You will see fantastic views of flooded fields reflecting the sky, and the ancient minority villages on the mountains will be shrouded in mist and fog. The Li River cruise might be affected by the very high rainfall. May is one of the best months for visiting the dry western regions, as it is warmer without the high temperatures of the summer heat. It might rain for a short time but this won&apos;t affect your trip. Cities in the west enjoy a big temperature difference between day and night. 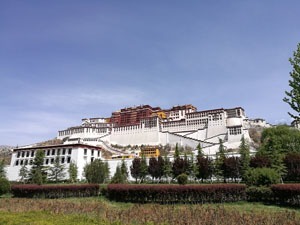 Take Lhasa as an example — the average temperature range is 6–20°C (43–68°F) and there are 9 days with a little rain (27 mm, 1”). Some places might be windy and cold, such as in the Gansu Corridor, so take a warm coat. Lhasa has relatively good weather. It is warm and sunny with low rainfall. The flowers are in bloom and the trees are green. As the temperature is cool/mild, it&apos;s a great time to visit some remote attractions, such as Everest Base Camp and Lake Yamdrok. Discover China in your own way. An outdoor activity is the main theme of May travel in China. Pack your bag and come with us to explore the beauty of China. 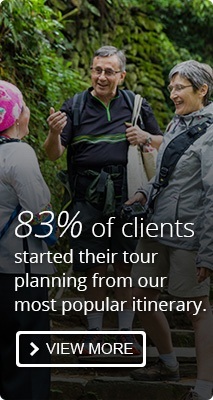 Below are our suggested tours for your inspiration, and you can modify these as you wish. 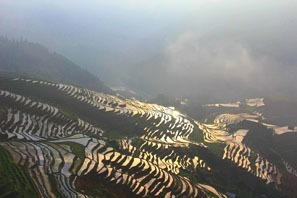 For more suggestions and tips for your China trip, please see How to Plan Your First Trip to China for inspiration.